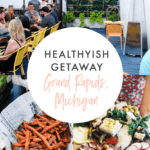 Sharing a healthyish getaway travel guide to Grand Rapids, Michigan! Here you’ll find where to stay, eat, drink and explore, along with how to stay active while enjoying the city. This trip was hosted by Experience Grand Rapids. 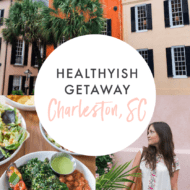 A few weeks ago I highlighted my healthyish trip to Charleston, SC and now I’m back with another post as part of the Healthyish Travel Guide Series. This time I’ll be sharing all about Grand Rapids, Michigan! 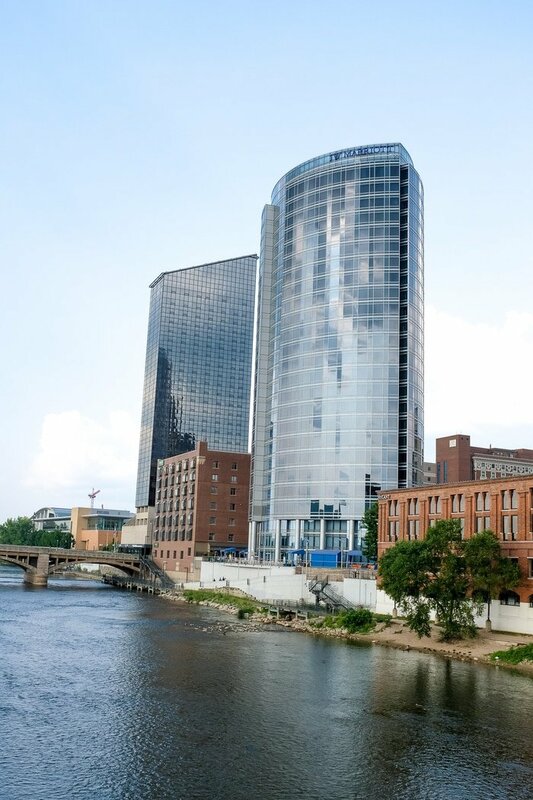 If you’re like me before I went, you might be unfamiliar with the city, so here’s a little background: Grand Rapids is the second-largest city in Michigan and it’s located on the Grand River about 30 miles east of Lake Michigan. Grand Rapids has a growing culinary scene and the title of Beer City with around 80 craft breweries! And a little extra trivia knowledge: Grand Rapids also has the title of Furniture City, which dates back to the 1800’s when the wood furniture business was booming – and the city remains today’s center for high-end office furniture in the United States. Experience Grand Rapids hosted a small group of bloggers for the weekend and we all had the pleasure of experiencing the city. The theme of the trip was Dine and Discover so we spent our time eating, drinking and getting active… basically all my favorite things to do when I’m checking out a new city. Overall, Grand Rapids was such a blast and has me wanting to plan a trip back so Isaac can check out the city as well. I know the brewery scene would be right up his alley. 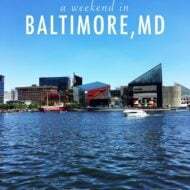 For this post, I’m going to share some of the highlights from my trip, including where I stayed, the restaurants we ate at and all of our fun activities! We stayed at the JW Marriott, a world-class hotel in the heart of downtown Grand Rapids. The rooms are very nice and mine even had a view of the river! The hotel has a full restaurant and bar, an indoor heated pool, fitness center, spa and eucalyptus steam room. I loved the location because it’s right on the Grand River and in a super walkable area. Each morning I was able to get in a quick morning walk along the river and there were so many great restaurants, museums, coffee shops, and boutiques all within walking distance. Field & Fire Cafe – A wood-fired bakery specializing in rustic artisan breads and croissants. I was happy to learn that they have a lot of vegan and gluten-free options. I ordered a cold brew and the avocado toast (spelt bread) with a perfectly cooked egg on top. So delicious and filling! 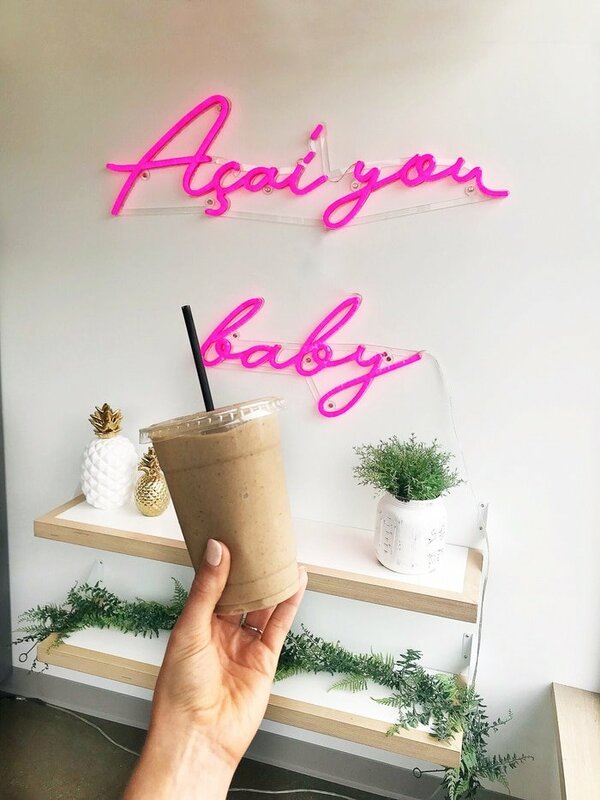 Fruition – This cute spot in East Grand Rapids serves up acai bowls, avocado bowls, healthy green juices, fresh smoothies and healthy toasts. I ordered the get up and go protein smoothie, but the avocado bowls looked delicious as well (maybe on my next trip!). 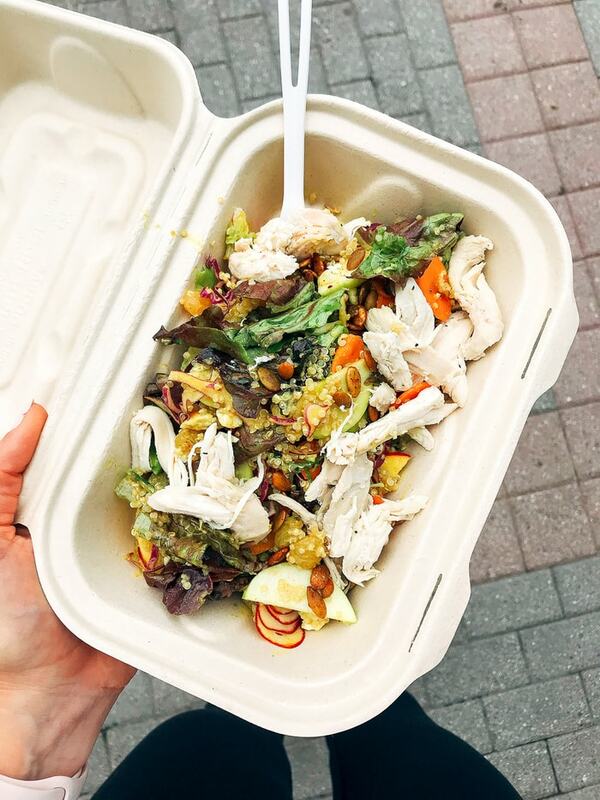 Little Bird – I arrived at the hotel starving so I did a little online searching for healthy options nearby and found this spot (I immediately knew I needed to go based on the name alone). I ordered the chop salad with chicken and it was really good. 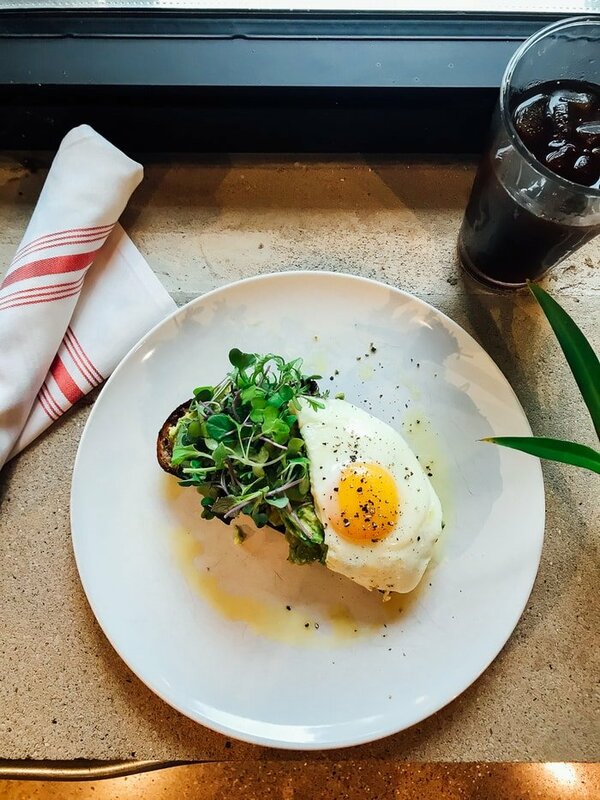 They also have an untraditional Caesar salad with kale and potato chips, plus tons of healthy-ish food items and a stellar looking breakfast menu (looking at you avocado toast). Highly recommend. Grand Rapids Downtown Market – This downtown market is a great place for shopping, food, art and culture. Their indoor facility features a 24-vendor market hall. There is a Madcap location and a bakery, but you’ll have more options for lunch than breakfast here. We stopped by to grab picnic and lunch supplies before heading to Lake Michigan for the day. I highly recommend the chipotle smoked salmon from Fish Lads. The Sovengard – Seasonal produce is given a Scandinavian treatment at this super cute, hip destination with a picture-perfect outdoor space. 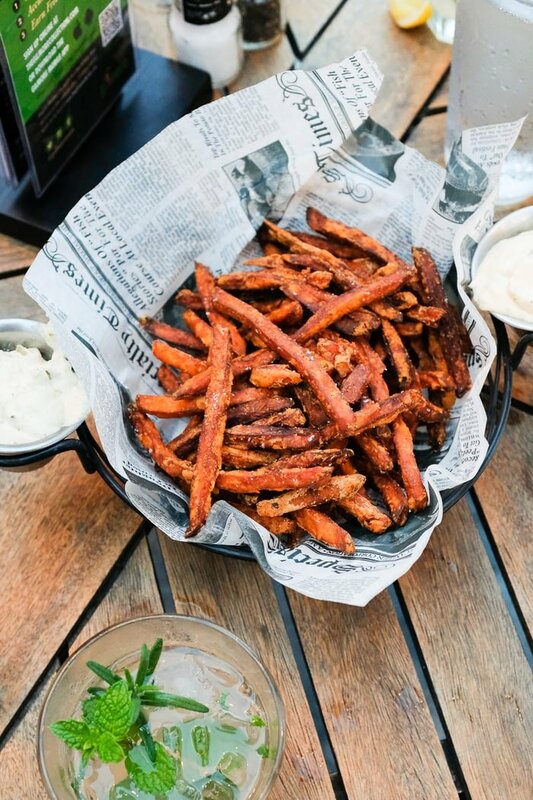 Highly recommend the sour beer fries, which are made with hand-cut russet potatoes and tossed with sour beer vinegar. Totally worth the splurge! Reserve Wine & Food – We did happy hour here on our first night and loved the wine on tap and the wine flight options! We didn’t eat here but it looks like a great spot for dinner with farm-to-fork fare. 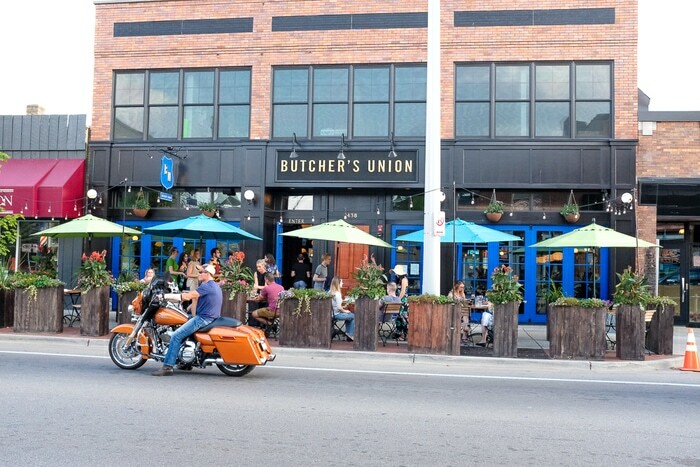 Butcher’s Union – This was one of my favorites. 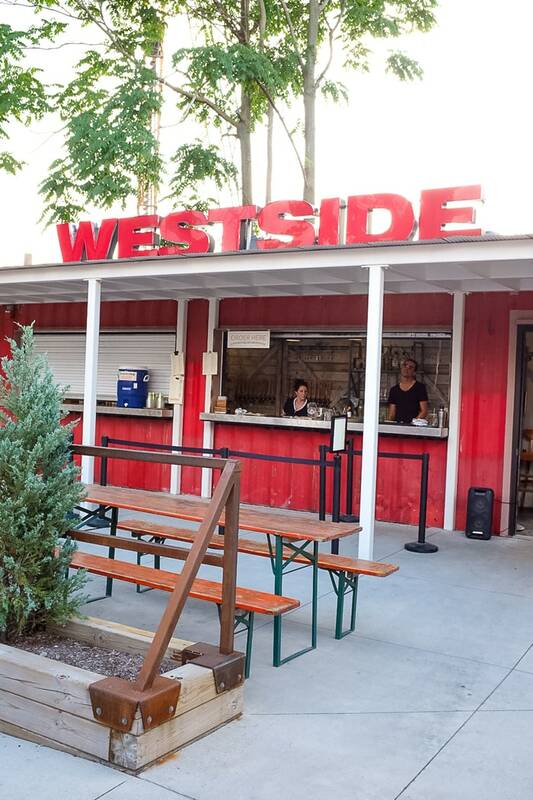 They have an adorable outdoor patio with American cuisine and great cocktails. Known to be meat-centric and have amazing steak (some of the ladies were raving about it). I had an awesome vegetarian meal here and highly recommend the cauliflower hummus. Zoko 822 – Offers Basque-inspired cuisine, a combination of Northern Spanish and Southern French styles and flavors served small plate style. MeXo – A Mexican restaurant and bar that brings a modern touch to the classic pre-Hispanic cuisine of Mexico. 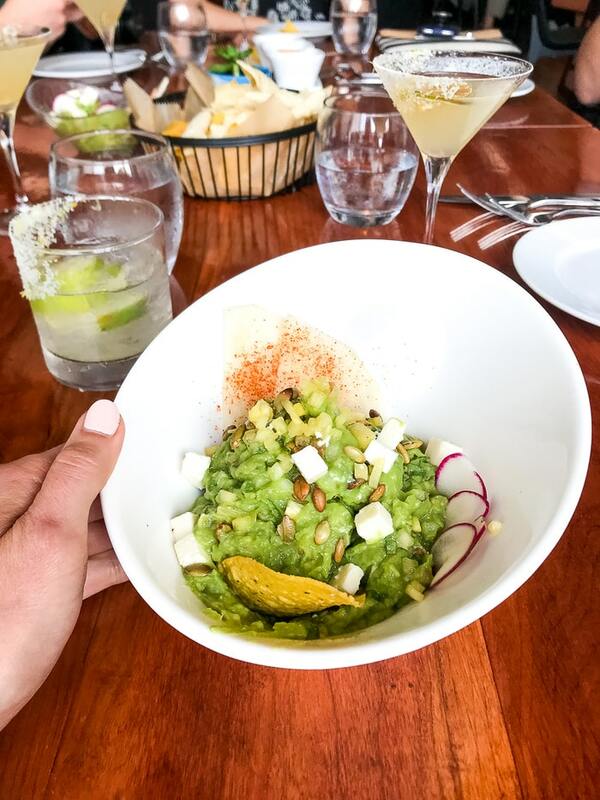 The fresh guac was delicious and I love that it comes with jicama and radish slices for dipping! Any spot that offers veggies as a dipping option gets my vote. 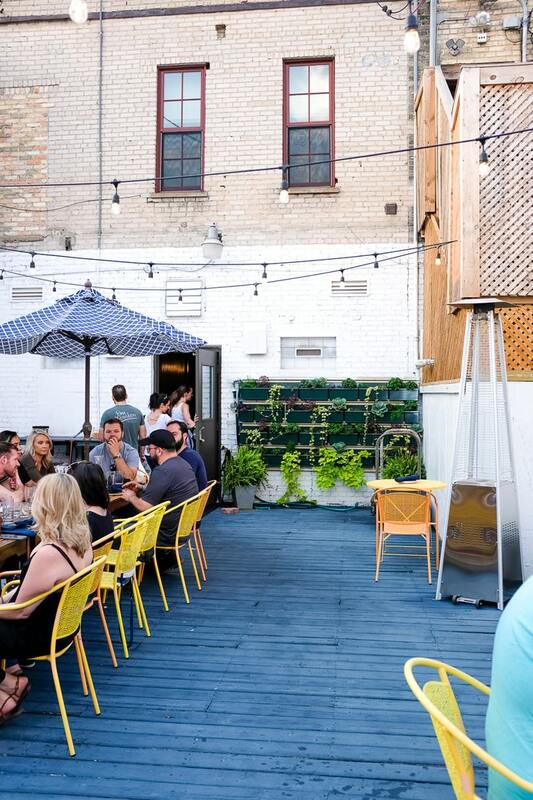 One Bourbon – A vibrant patio with an epic whiskey selection. I don’t love whiskey so this didn’t excite me, but they have other drinks as well and the paloma I ordered was perfect! I loved all of the greenery here too. Haute Rooftop Lounge at New Hotel Mertens – There aren’t many rooftop spots in Grand Rapids, so this is a real gem and was hands-down one of my favorite spots in the city. Haute serves appetizers, desserts and has a full bar. The drinks were great, but I highly recommend the chocolate pot de crème. It was soooo rich and creamy. But, if you’re looking for dinner, check out the retro-chic brasserie downstairs serving French classics and old-school cocktails in a historic, former hotel. Founders Brewing Co – We actually didn’t make it to Founders on this trip, but I have to give them a shout out because Grand Rapids is known as the Beer City. So if you’re a beer lover, definitely take advantage of the beer scene. Check out the Beer City Ale Trail with over 80 breweries or schedule a brewery tour. Cygnus27 – Enjoy the skyline as you sip a cocktail atop a Glass Tower. A great spot for dinner as well! THE B.O.B – This is a fun downtown spot that has restaurants, bars and a club all in one building. There’s basically something for everyone here — pizza, live music, dancing and more. 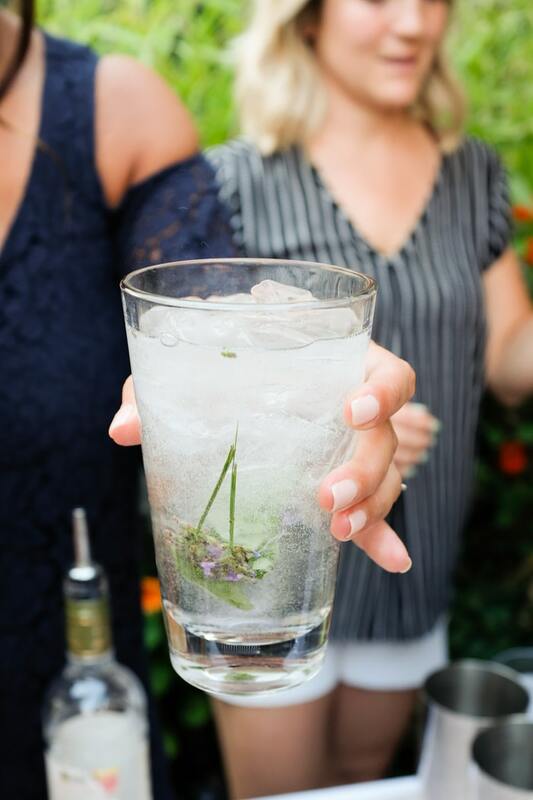 There was a special botanical garden event with Ketel One going on during our visit and we were able to build our own cocktails using fresh picked herbs and Ketel One’s low-sugar botanical-infused vodkas. 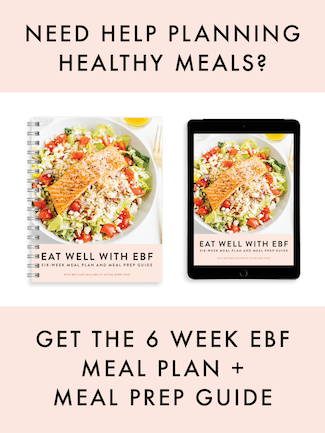 If you’ve been reading EBF for a while you’ll know that I love coffee, and whenever I visit a new city I’m always on the hunt for the best local coffee shops. 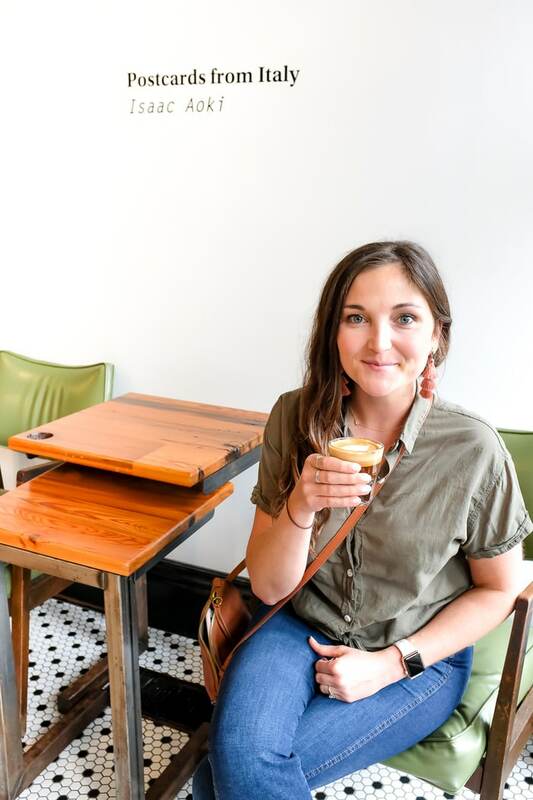 Funny enough, our itinerary for the trip included a coffee crawl so I got to experience some of the coolest local coffee spots in Grand Rapids. 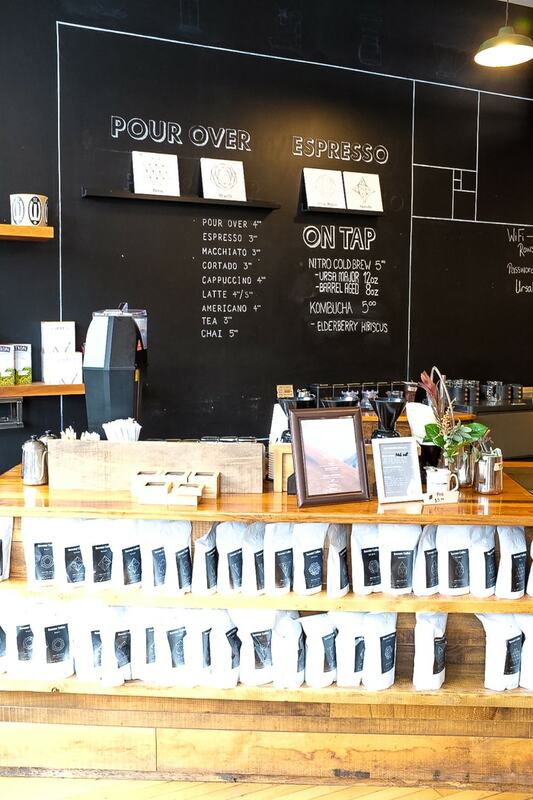 Madcap – Serves locally roasted coffee at three locations around Grand Rapids. 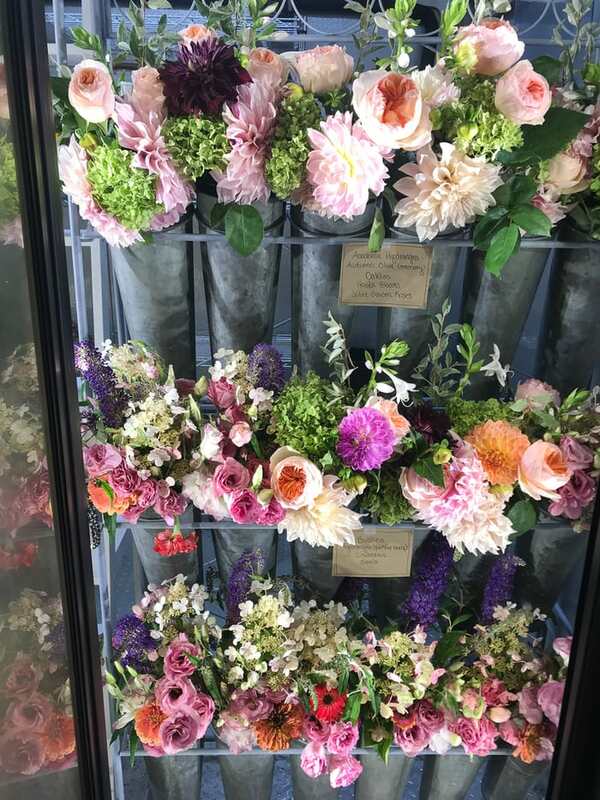 I visited the Monroe Center location one morning because it was within walking distance from my hotel and also grabbed a cold brew from the Downtown Market location. Their coffee was so good. I totally would have brought home some coffee beans for Isaac, but our kitchen was being renovated at the time. 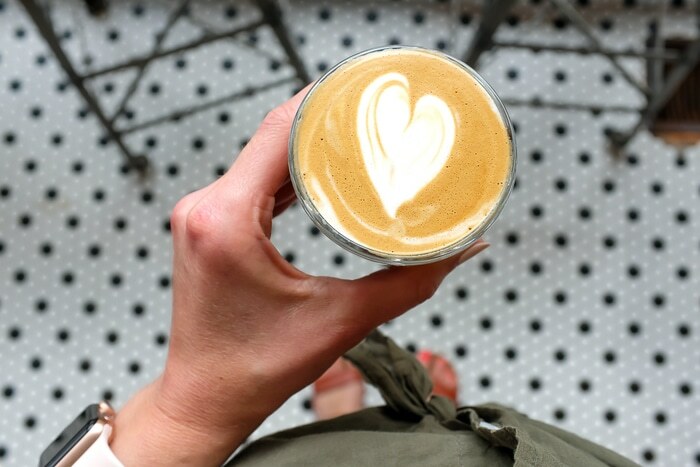 Rowster Coffee – I was super impressed with the house-roasted coffees AND homemade almond milk. I had to get an almond milk latte once I found out they made their own in-house, and it was delish. 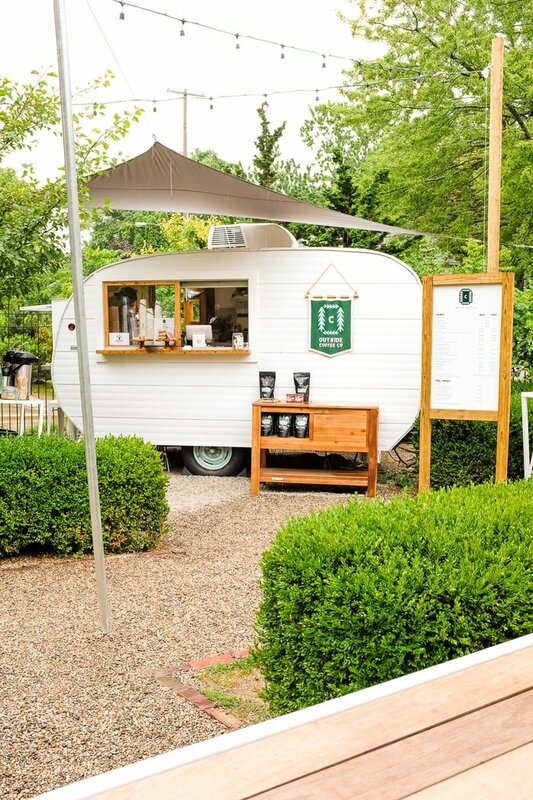 Outside Coffee – A camper-converted coffee shop parked in the community garden at Woosah Outfitters. This spot wins for being the most unique and hip! Grab a cup of coffee and relax in the nearby hammocks. 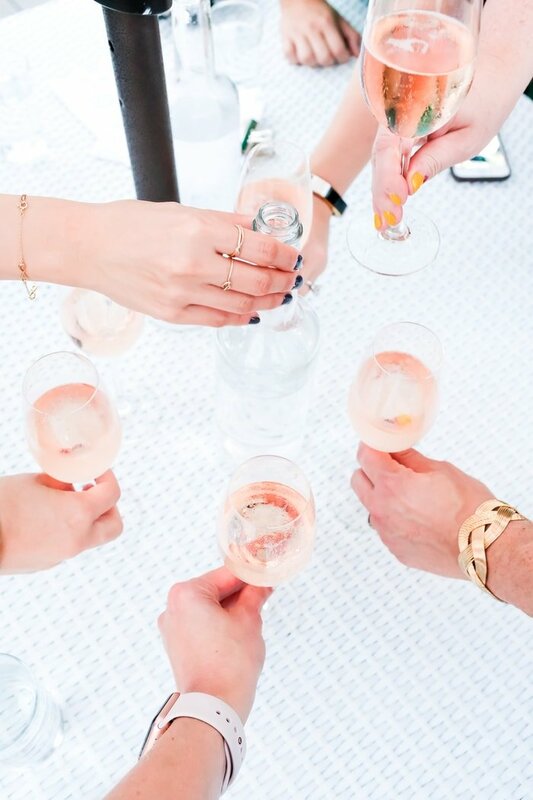 Squibb Coffee & Wine Bar – the perfect spot for coffee or a mid-afternoon glass of wine (or local kombucha). 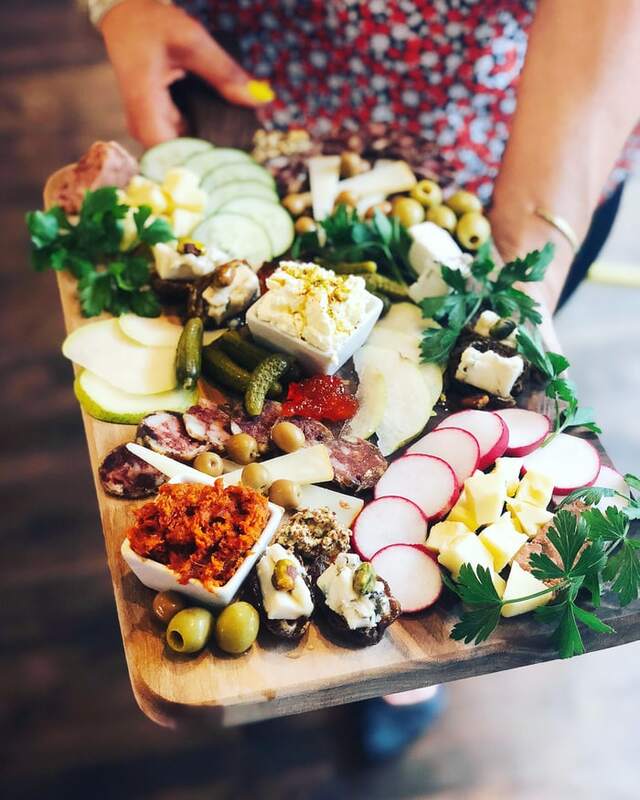 They also make epic cheese and charcuterie boards. 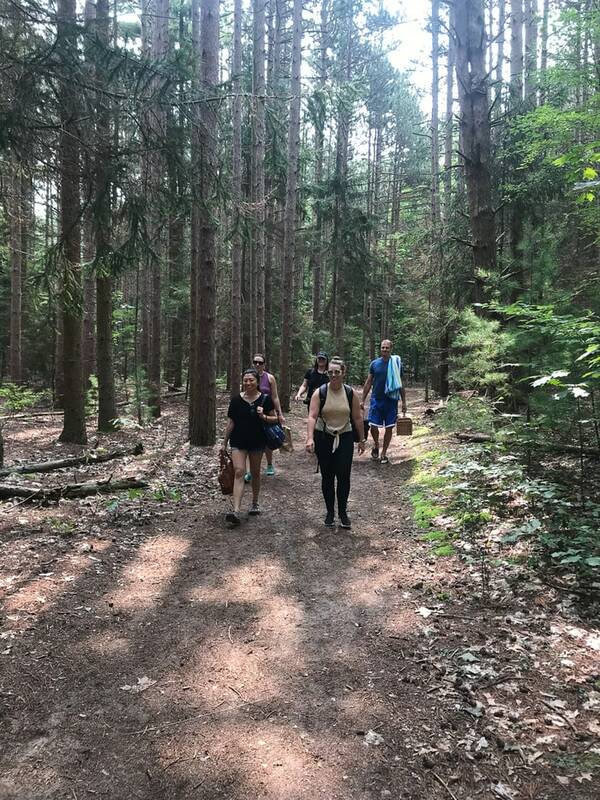 My activity of choice while traveling is walking (or running) so I can explore while getting in my movement for the day but there are a ton of fitness studios in Grand Rapids as well. 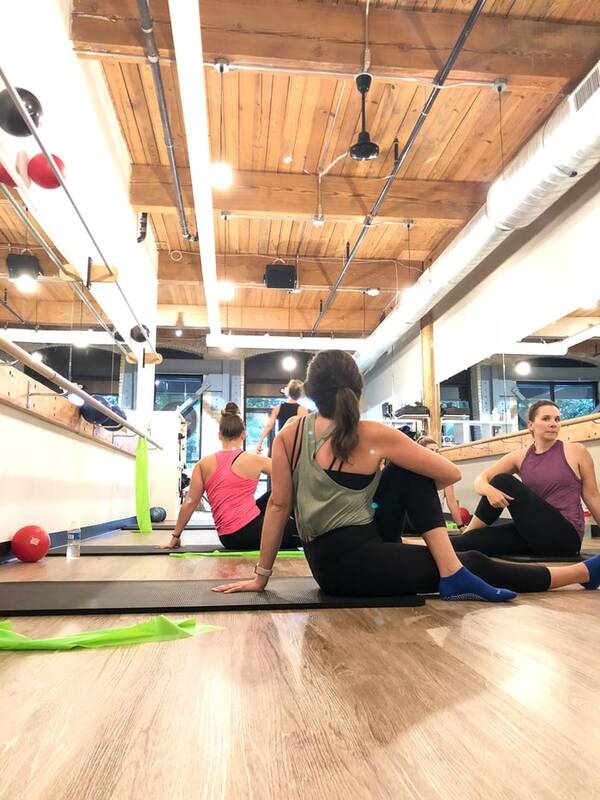 One morning we had a chance to check out one of the local studios, Beer City Barre, which offers a full body, 60-minute class that blends techniques from ballet, Pilates and yoga. Another great way to stay active while visiting Grand Rapids is to plan a day trip to Lake Michigan and hit up one of the numerous trails. We decided to hike the North Point Trails to Saugatuck Dunes State Park. The hike wasn’t strenuous at all, but there are some huge coastal dunes (over 200 feet tall) near the water so if you’re inspired to get in a good workout I highly recommend climbing those bad boys a couple times before hopping in the water for a swim. Speaking of Lake Michigan, I have to mention that I had never been before and dang, I was SO impressed! The water is clean, turquoise, clear and simply beautiful. 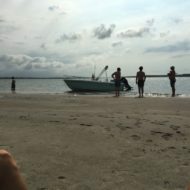 As an East Coast girl, I grew up going to beaches in Virginia, the Carolinas and Florida, which are obviously all salt water. The cool thing about Lake Michigan is that the lake has waves, but it’s fresh water so you don’t have to worry about salt getting in your eyes/mouth, and when you get out of the water you feel fresh/clean rather than sticky and salty. It’s pretty amazing. Oh, and there’s no need to worry about sharks or jellyfish either! 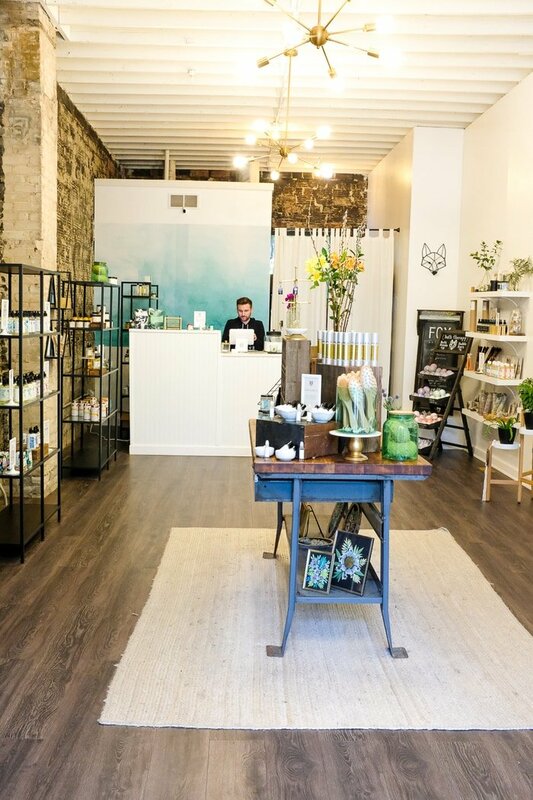 Fox Naturals – Sells locally made natural skin, hair and beauty products. Such a cute shop with the most adorable branding. Mokaya – Locally made chocolate shop with so many interesting flavors and designs including truffles shaped like little hedgehogs and turtles. I brought a mixed pack of truffles home to Isaac and he loved them. PS – Don’t sleep on the candy bar. It was my favorite thing I tried. Dime & Regal – Shop for loads of cute jewelry and housewares. Woosah Outfitters – Find nature-inspired art and apparel from a brand based out of Grand Rapids. 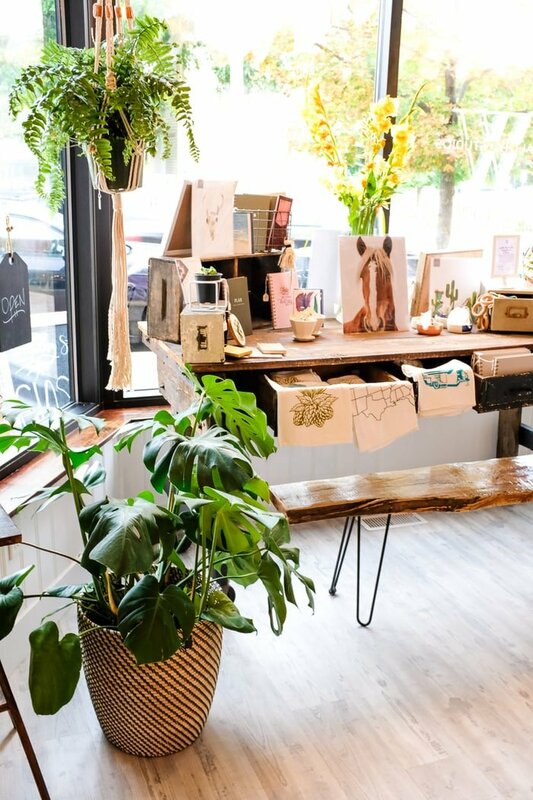 This shop features artwork from the owner, Erica Lang. The designs and drive behind Woosah revolve largely around woodcuts and the outdoors. How cool! Lee & Birch – Fashionable women’s clothing and accessories – with three locations throughout Michigan. Grand Rapids Art Museum: An art museum located in Grand Rapids, with collections ranging from Renaissance to Modern Art and special collections on 19th and 20th-century European art. Gerald R. Ford Presidential Museum: Gerald Ford, the 38th President of the United States, wasn’t born in Grand Rapids, but he was raised there and represented the city in the U.S. House of Representatives from 1949 – 1973. The President and his wife are buried on the grounds of this museum. Frederik Meijer Gardens & Sculpture Park: Michigan’s second most popular tourist attraction. This combination sculpture park and botanical garden is one of the world’s 100 most visited art museums AND one of the Top 30 Must-See Museums on the planet . . . which means it must be AWESOME. Grand Rapids Public Museum: Founded in 1845, the Grand Rapids Public Museum is among the oldest history museums in the United States. Perfect for history lovers! Heritage Hill Historic District: One of the nation’s top old-house neighborhoods is just a five-minute walk from downtown Grand Rapids. Heritage Hill boasts Michigan’s largest and finest collection of 19th and early 20th century houses. Nearly every style of American architecture, from Greek Revival to Prairie, is represented in the 1,300 buildings that date back to 1844. Frank Lloyd Wright Meyer May House: A meticulous restoration complete with original furnishings and faithfully executed reproductions, the Meyer May House provides the rare opportunity to experience a Prairie house exactly as Frank Lloyd Wright intended. I definitely want to see this next time I visit! Grand Rapids Children’s Museum: The Children’s Museum is located in downtown Grand Rapids, just a short walk from many hotels. The perfect spot to take the kids, especially on a rainy day. 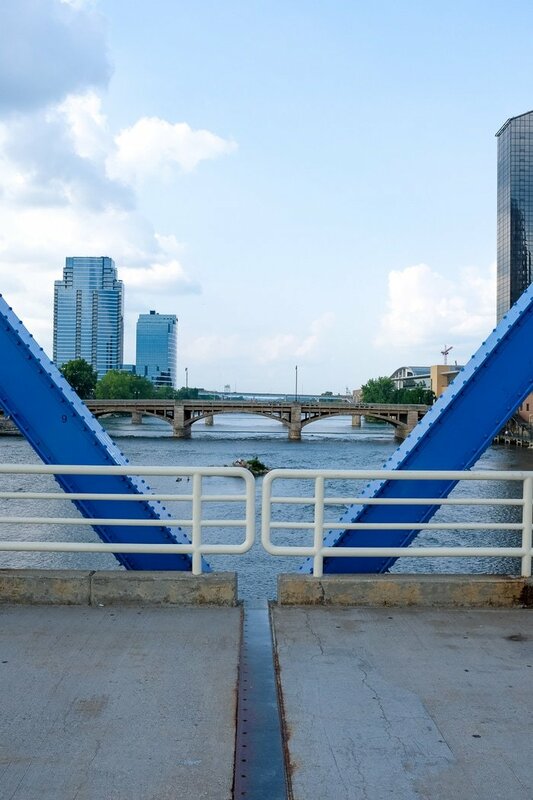 For up-to-date events and even more info about the lovely city of Grand Rapids, check out Experience Grand Rapids! 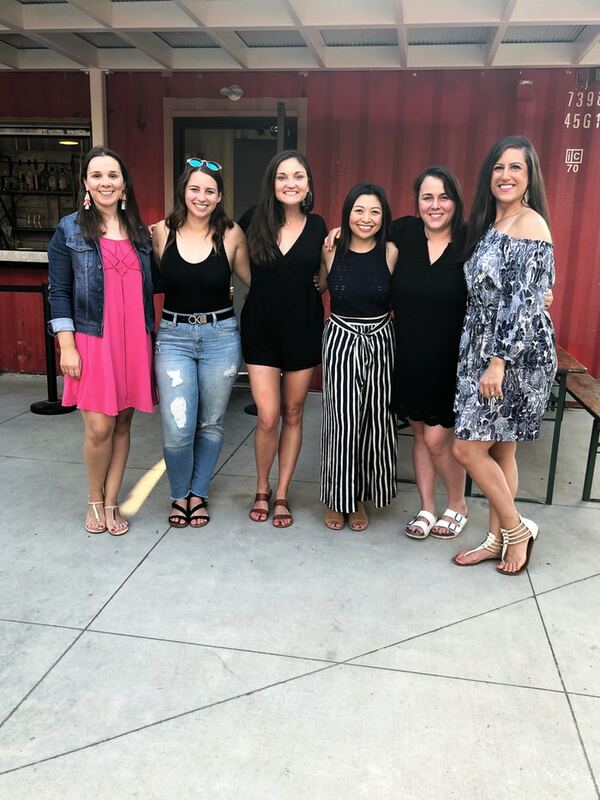 Here’s the awesome group of ladies I had the pleasure of experiencing Grand Rapids with: Ashley, Stephanie, me, Maryanne, Sherrie and Liz. Check out their sites to see their thoughts on Grand Rapids as well! So tell me, have you ever visited Grand Rapids? Are you a local? Did I miss anything in terms of food or attractions that you would recommend? Leave me a comment letting me know! Oh no way, that’s so cool! You have to go check out Grand Rapids soon. You’ll love it. YAY! This is in my own backyard! Heading up there in a minute for an appointment, actually! & all of that food looks delicious. I never thought to dip radishes in guac but that sounds amazing. My husband and I visited Grand Rapids this summer and did see the Ford Museum and the sculpture park. Both fantastic! We also did the same hike you did. Wish I had your list of restaurants before. I grew up on the IL side of Lake MI but I love the MI side a lot too. On another note, my sister and I just came back from Charleston. First time there. We did hit a lot of your restaurants (as we are vegetarian too) and loved them all! Great city, so easy to walk around. Just wish it hadn’t been in the 90s! I want to go back in the spring when the gardens are blooming. I really enjoy your travelogues! Thank you. Wow! Fantastic & brilliant article. Sound like great. Just love this. Thanks for sharing.